Local SEO Agency helping businesses be discovered and grow online. For those of you who already have a website, As an SEO agency we offer a variety of Search Engine Optimizations (SEO) plans to help you to get back to what you do best in your business. The Search Engine Optimizations Services outlined below are built for businesses like yours. For startup businesses, we offer several SEO Agency Business Plans to get your website started on the right foot when it comes to you being found online. We are here to help you succeed in being found in online searches. All of our websites start with a focus on great SEO Web Design from the start. With our SEO and Analytics Plans, you will have peace of mind knowing that your website is being left in good hands and being monitored with the latest changes in your site rankings, as well as maintenance requirements for a high-performance site. So you can spend your time on the things that you do best in your business. As an SEO Agency, we utilizes an innovative approach to our SEO and Analytics to include on-page SEO, Google Analytics, Google AdWords, and a whole variety of 3rd party plugins and solutions that help us make your site perform at its best. We are continually monitoring and scanning your website for any immediate changes to keyword ranking, internal site errors, duplicate content, and many more small determining factors that affect your website ranking and performance to keep your website performing optimally. Do you have an existing website and are searching for someone to help you move your site up the ranks in the search engines? We offer Fully Managed SEO and Analytics Plans to help businesses like yours grow on the web. With us on your team to help grow your business, you will talk to real people, not automated answering machines. We will be on-call to help you make the SEO updates on your website by keeping it up-to-date with the latest changes on the web to keep your business ahead of the curve and the competition. Are you needing some help on a project by project basis, or are you wanting a one-time SEO Scan and Analysis of your website? 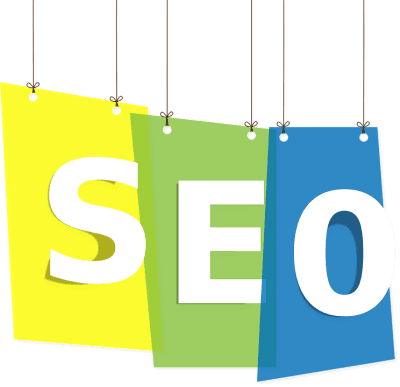 Then our On-Demand SEO Services might just be the right fit for your business to efficiently and effectively scan your site as it currently stands, and optimize your website bit by bit when you are needing the help. Send us an email or give us a call if you want an SEO Analysis of your website and making the changes that you wish to have done and we get to work making your ideas come to life. Pick a service or plan below and let's get started! You must already have a website to select a plan or service below. Website Health and SEO 6x Plans Most popular service. Website Health and 12x Plans For the Growing Business. Monthly SEO Plans are on a 6 month or 12 month Contract Basis. Other Services at Set Hourly Rate or on a Per Project Basis. If you're a startup or established business and your website is stuck way behind in the search engines, your site might need some work that goes beyond just SEO to help bring it up the ranks. As your business grows, your website will need updates and changes along the way. Selecting the proper SEO Plan and Website Management Plan and add-ons are a great way to set your website up for success to attain higher rankings. We manage many of our client's SEO plans, business listings, marketing plans, web domains, hosting, SSL certificate renewals, website backups, site security, malware cleanup, and site optimizations for performance at an additional annual and/or one-time cost. If you have an existing website, we offer these core add-ons across all of our SEO plans. These add-ons may be included in the service level or may carry an additional annual and/or one-time fee. Is there anything else you'd like to share with us about the project?